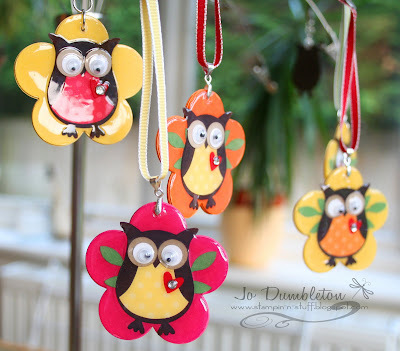 Stampin' 'n Stuff: Super Duper Holt Hoot! These are super cute!!!!! Love them! AWW SO VERY CUTE, YOU ARE GENIUS MY FRIEND!! From one Jo to another, I love these bag tags...can you tell me how you put them together please? My children would love them hanging off their bag for school!! I love your keyrings JO just fabulous. Have a great time in Prague. It's the 'Hoot' in Holt Hoot!